Sugarcane is one of the most promising agricultural sources of biomass energy in the world. Sugarcane produces mainly two types of biomass, Cane Trash and Bagasse. Cane Trash is the field residue remaining after harvesting the Cane stalk while bagasse is the fibrous residue left over after milling of the Cane, with 45-50% moisture content and consisting of a mixture of hard fibre, with soft and smooth parenchymatous (pith) tissue with high hygroscopic property. Bagasse contains mainly cellulose, hemi cellulose, pentosans, lignin, Sugars, wax, and minerals. The quantity obtained varies from 22 to 36% on Cane and is mainly due to the fibre portion in Cane and the cleanliness of Cane supplied, which, in turn, depends on harvesting practices. The composition of Bagasse depends on the variety and maturity of Sugarcane as well as harvesting methods applied and efficiency of the Sugar processing. Bagasse is usually combusted in furnaces to produce steam for power generation. Bagasse is also emerging as an attractive feedstock for bioethanol production. It is also utilized as the raw material for production of paper and as feedstock for cattle. The value of Bagasse as a fuel depends largely on its calorific value, which in turn is affected by its composition, especially with respect to its water content and to the calorific value of the Sugarcane crop, which depends mainly on its sucrose content. Moisture contents is the main determinant of calorific value i.e. the lower the moisture content, the higher the calorific value. A good milling process will result in low moisture of 45% whereas 52% moisture would indicate poor milling efficiency. Most mills produce Bagasse of 48% moisture content, and most boilers are designed to burn Bagasse at around 50% moisture. Bagasse also contains approximately equal proportion of fibre (cellulose), the components of which are carbon, hydrogen and oxygen, some sucrose (1-2 %), and ash originating from extraneous matter. Extraneous matter content is higher with mechanical harvesting and subsequently results in lower calorific value. For every 100 tons of Sugarcane crushed, a Sugar factory produces nearly 30 tons of wet Bagasse. Bagasse is often used as a primary fuel source for Sugar mills; when burned in quantity, it produces sufficient heat and electrical energy to supply all the needs of a typical Sugar mill, with energy to spare. The resulting CO2 emissions are equal to the amount of CO2 that the Sugarcane plant absorbed from the atmosphere during its growing phase, which makes the process of cogeneration greenhouse gas-neutral. Cogeneration of Bagasse is one of the most attractive and successful energy projects that have already been demonstrated in many Sugarcane producing countries such as Mauritius, Reunion Island, India and Brazil. Combined heat and power from Sugarcane in the form of power generation offers renewable energy options that promote sustainable development, take advantage of domestic resources, increase profitability and competitiveness in the industry, and cost-effectively address climate mitigation and other environmental goals. Salman Zafar is the CEO of BioEnergy Consult, and an international consultant, advisor and trainer with expertise in waste management, biomass energy, waste-to-energy, environment protection and resource conservation. His geographical areas of focus include Asia, Africa and the Middle East. Salman has successfully accomplished a wide range of projects in the areas of biogas technology, biomass energy, waste-to-energy, recycling and waste management. Salman has participated in numerous national and international conferences all over the world. He is a prolific environmental journalist, and has authored more than 300 articles in reputed journals, magazines and websites. In addition, he is proactively engaged in creating mass awareness on renewable energy, waste management and environmental sustainability through his blogs and portals. Salman can be reached at salman@bioenergyconsult.com or salman@cleantechloops.com. 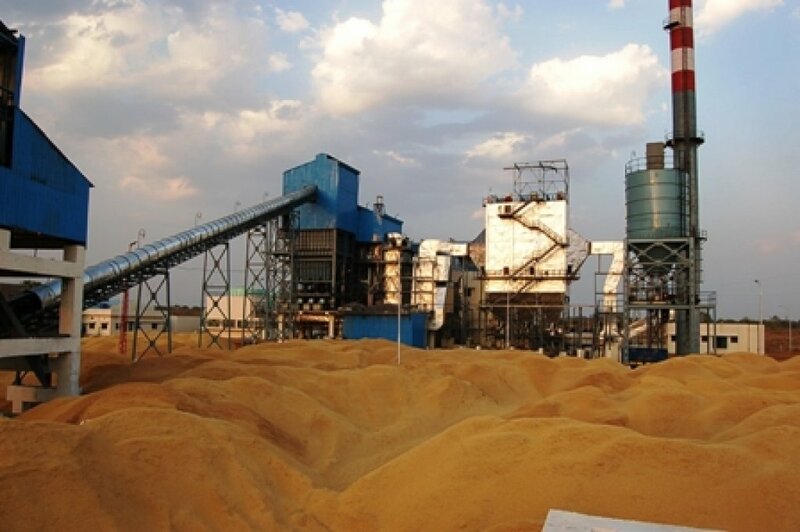 Tagged Bagasse, Bagasse Cogeneration Plant, Bioenergy, bioethanol, biofuels, Biomass, Biomass Energy, calorific value, Cane Trash, CHP, cogeneration, Composition of Bagasse, Energy Potential of Bagasse, India, Mauritius, Properties of Bagasse, Sugar Industry, Sugarcane, What is Bagasse. Bookmark the permalink. We don’t think many mills operate at 45% MC (consumes energy!). E.g. bagasse drying is a better option (using flue gas) to boost calorific value (CV). Bagasse is also a great feedstock for the manufacture of furfural. The residue that is returned from the process has a higher CV than the bagasse! Furfural is made from low CV hemicellulose (pentose). Furthermore, the lignocellulosic residue that you get from the manufacture of furfural is an ideal (pre-treated) feedstock for the production of cellulosic ethanol. We developed smart ways/technologies to integrate the mass and energy balance of a furfual plant with co-gen/sugar/ethanol mills. In addition, we don’t forget to leave sufficient biomass behind in the field, so as to sustain bio-based energy and chemical businesses for generations to come. With increase of every 1% moisture in bagasse,NCV reduction is 50 kcal/kg. Gasification is more efficient than traditional boiler based conversion systems. As per conservative estimate, a ton of bagasse can produce around 300-400kWh power. You can use bagasse in a gasifier to generate power but there may be a need for you to take the bagasse through some pre-processing steps to make it suitable for gasification operations because of its heterogeneous nature and because of its high moisture content and low bulk density. Some gasifiers are relatively strict in terms of size requirements. They (gasifiers) are design specific. Moisture content can be reduced with the use of a dryer but the process requires energy, which therefore increases the energy required for pre-processing; however, heat recovery from a waste heat source from the dryer could improve energy efficiency. 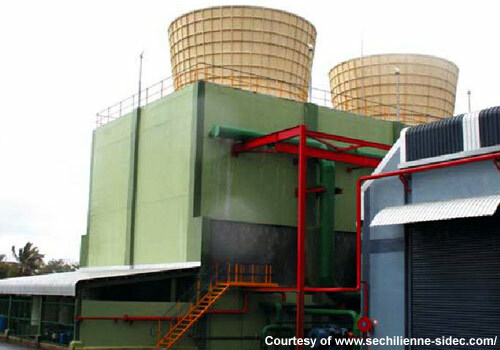 For optimum efficiency, i would recommend the use of the fixed-bed downdraft gasifier for bagasse gasification. We are producing 2550 ton bagase daily having moisture more then 52 percent.We want to install bagase dryer having capacity 120 ton/hr(for direct combustion into the H.P boilers). If some one can give proper design preferably using boiler flue gases,that would be appreciated. Pl.contact. We have access to 50 ton bagasse per day. Can anyone advice us the best possible use of this residual?? What amount of Electricity is generated per tonne of wet bagasse with 50% moisture in it ? Ironically the sugar cane mill near my land in Louisiana was closed in part because it was not allowed to burn bagasse anymore because it was too polluting.